JR East will be retiring the 107系 and 115系 EMU's on the Jōetsu Line, Shin'etsu Main Line to Yokogawa, Agatsuma Line and Ryōmō Line as of the end of September 2017. They should be all replaced of 211系, which have been used increasingly north of Takasaki for a couple of years. This may be the last chance to see the 115系 in revenue service in eastern Japan besides the Shinano Railway. It's another sad moment to see JNR rolling stock go, but I certainly won't miss having to open the doors by hand. I'm pretty much indifferent about the 107 series. But saying goodbye to the 115 series is a bit sad. 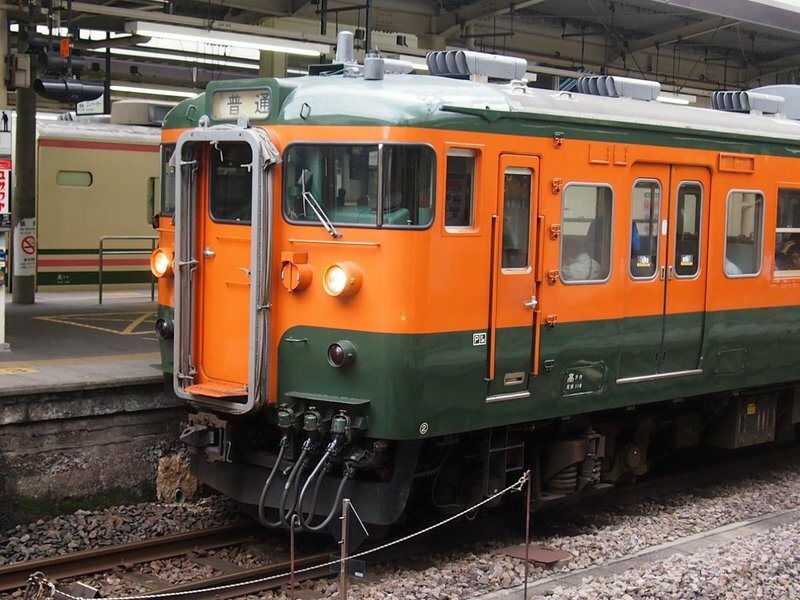 The Shinano Railway 115 series sets are mighty nice though! but I certainly won't miss having to open the doors by hand. As in pushing a button? Sliding the door open by hand. Literally. As JR West did a very thorough refurbishment of their JNR stock most of them have been refit with proper door buttons. If you take a close look at the door buttons of refurbished JR West 113 series, KiHa 40 series etc. you will see that they look a bit improvised, which shows that they weren't there in the beginning. Why JNR ever decided to leave out the door buttons even though the mechanical stuff behind it is all there is beyond me. I mentioned this to a friend of mine who runs a Japanese goods export business in the small city of Isesaki on the Ryōmō Line and he is very aware of the retirement (probably because JR East has plastered posters on every major station on the Ryōmō Line) and he expects a large crowd of Japanese railfans on the last week of September 2017 in this part of Japan paying their last respects for the end of 107/115 service. If a car uses pneumatically operated doors, then it's possible to add a single electric open and door valve for each side. This allows closing and holding the doors by pressurizing the close line, opening all doors by pressurizing and then releasing the open line or unlocking the doors by releasing the close line. 2 solenoids per side, centrally controlled on all cars, no electronics on the doors. Local door controls need 2 solenoid valves per door and a control logic (relay or solid state) to allow central door locking to override the local commands and to hold the local open commands until the end position. This adds too much complexity, especially with self holding preselect mode (the push door open button for stop request case), which also requires an extra feedback line besides the series connected all doors locked signal. 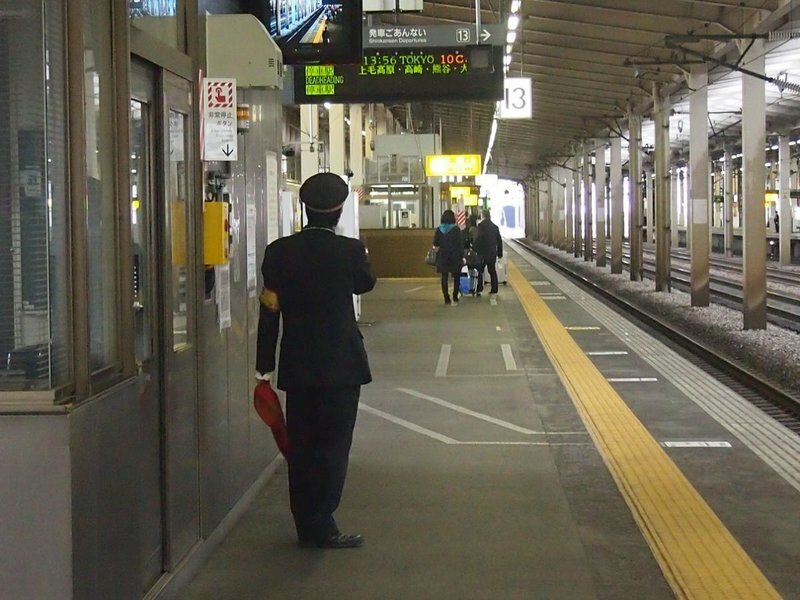 A central control system also doesn't need all the extra interlocking as all command lines have the car central solenoids wired parallel, while all safety lines (door and break indicators) are wired series across each door and car, with the end cab cars closing the loops. If a car uses electric door motors, then you need low voltage button control repeaters instead of solenoid valves and the aforementioned self holding circuit for stop requests. These doors also seem to lack connected chain drives, which could spare half of the door actuation mechanism but would require twice as much force to move the doors by hand as the two doors would open and close together. Pretty much the same complexity and extra maintenance as for the pneumatic doors. 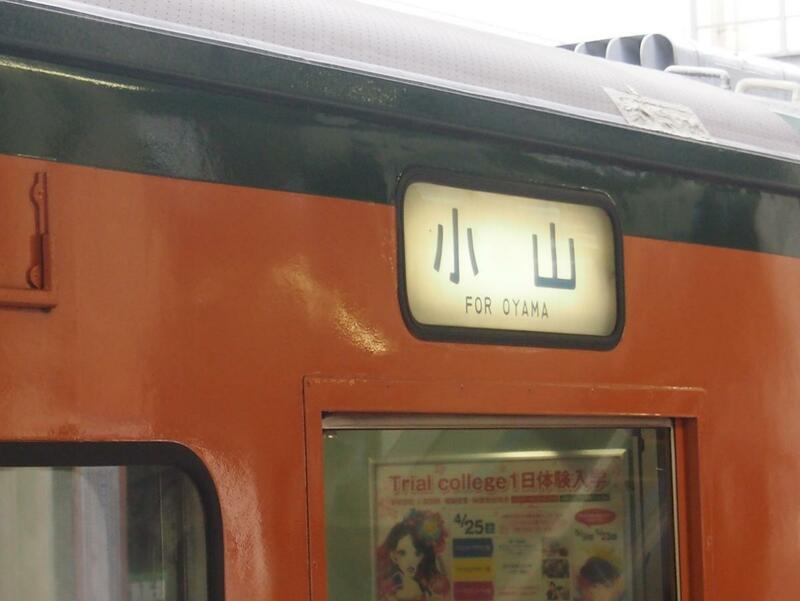 Personally i'm sad to see these trains go as the 113/115 series are my favourite japanese trains. I just learned something new. I didn't know about the doors. 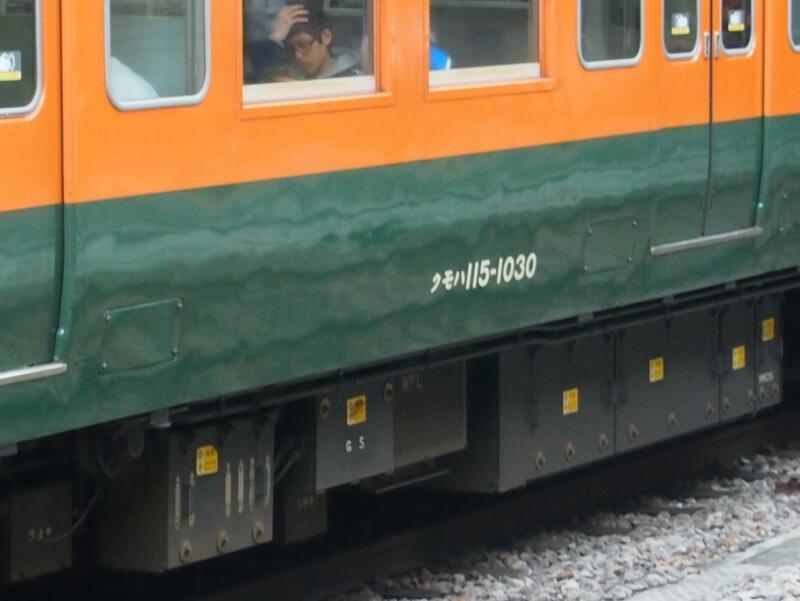 I only ever rode the Shinano Railway 115 series. I got on the train with all doors open and they all opened when I got off as well, so I never paid any attention if there was a button or not. I wonder did the 115's now in Shinano Railway service get rebuilt initially so they now have automatic doors? With the 115系 in JR East service likely coming to an end fairly soon, Shinano Railway may have enough spare parts from retired JR East 115's to keep them going for several years to come. Could someone tell me where the bottom left photo was taken? YouTube member ichi pika recently did a series of videos at the Nagano rail yard showing a number of 107系 being scrapped there. 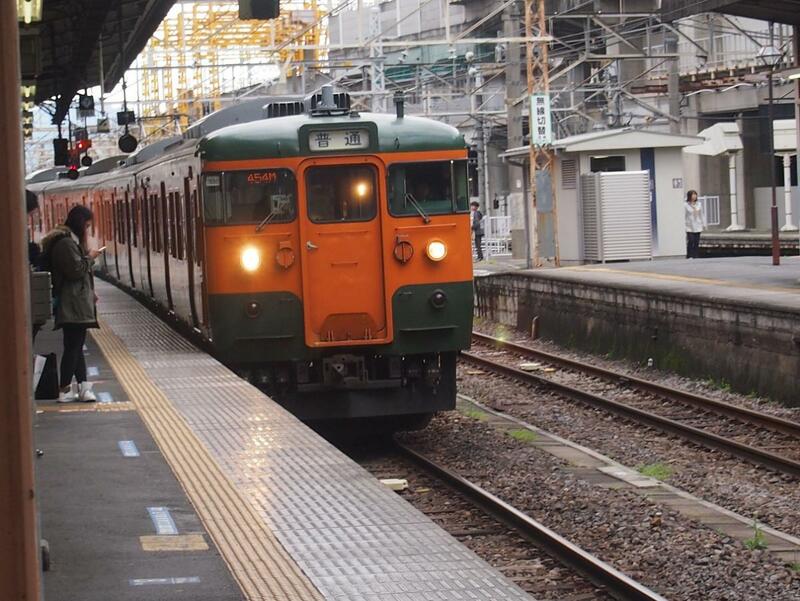 It appears that the last of these 107系 now running north of Takasaki will also be heading there for scrapping. I found out that Joshin Dentetsu did buy six ex-JR East 107系 trainsets, as reported in a Takasaki newspaper on 30 August 2017. They will likely arrive on Joshin property till the end of 2017. 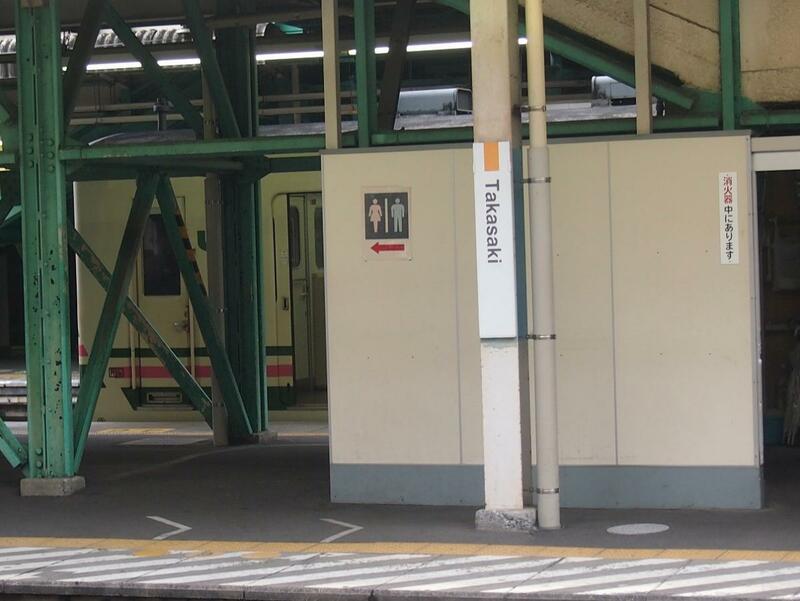 I was at Takasaki Station last Fri and Sat. Two of the 107s were at the Joshin Dentetsu Line parking area, being worked on. 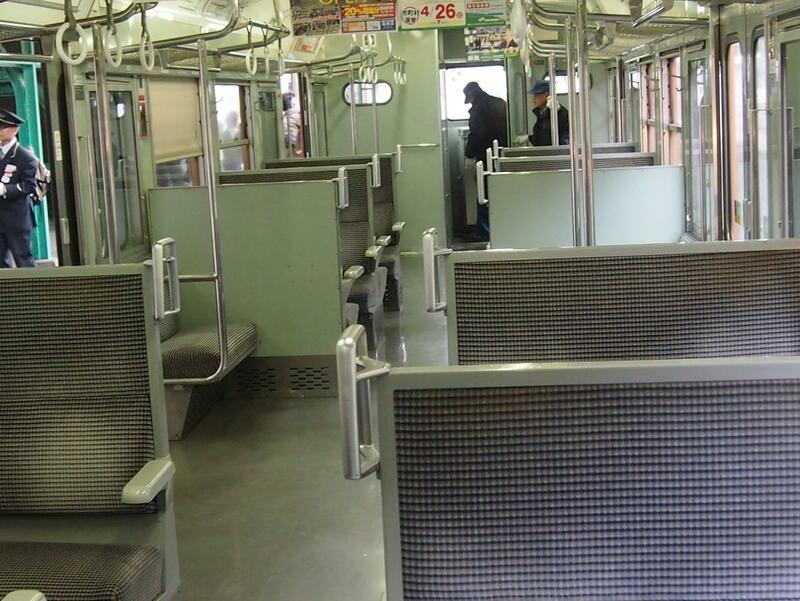 I rode the 115 that started for Yokokawa at 4:45 on Sat and Sun. There wasn't an earlier one on Sunday. 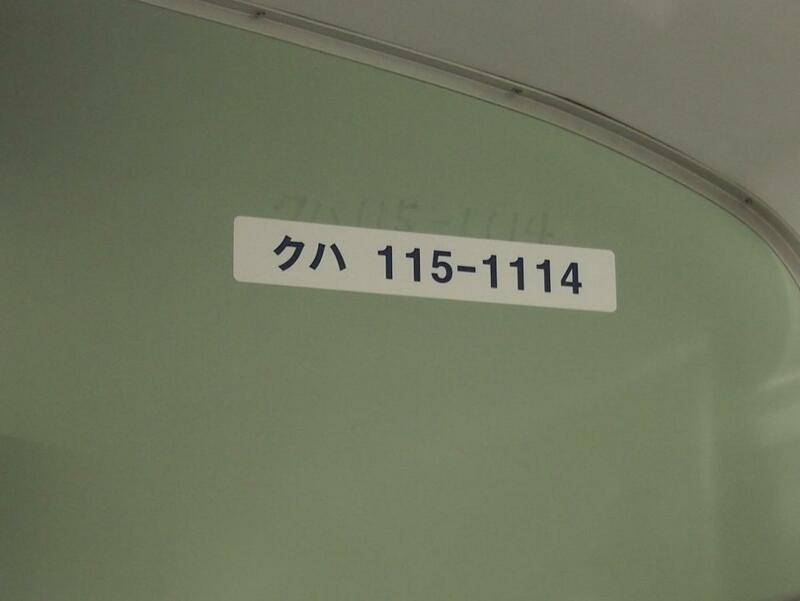 One 115 had a special anime theme headmark and had characters painted on the side. On Sun, I caught the R8 Arigato 107 as it returned to Takasaki Station. For those that might be interested, the Toho Zinc Plant at Annaka Station has cars and switchers working on a Saturday. EH500-4 came pulling tank cars and hoppers at 17:07. I noticed an EH500 parked before Annaka Station the day before, so that might be the usual time to arrive. The switcher DB301 took the cars up to the smelter, but only two at a time. It would have been dark when it was done. I imagine that you can catch the EH500 passing through Takasaki or other stations on the way before then. There was a line of cars parked and backed into the building parallel to the station. I think that they load or perhaps unload material from the hopper cars there. Either way it partially blocked getting a clear shot of the switcher and tank cars going up the side track towards the smelter. I used the Seishun 18 ticket to go there, otherwise I'd go again this week. I'll probably go again this winter.